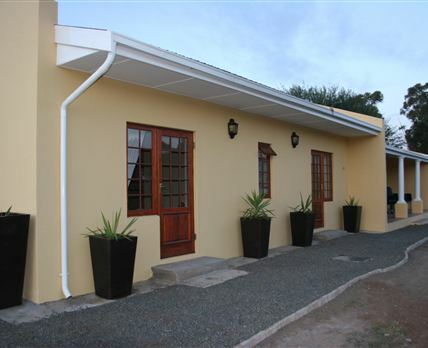 Buffelshoek Farm Guest House is situated 15 km from Graaff-Reinet on the Murraysburg Road. We offer four en-suite bedrooms, a large living area and a fully equipped kitchen. A built-in barbecue is also available for preparing a traditional South African meal and for fending off the cold Karoo nights. Join us in a perfect farm atmosphere with beautiful views of the Karoo mountains. Click here to enquire at Buffelshoek Farm Guest House.